​Jurgen Klopp has confirmed that Liverpool will leave Xherdan Shaqiri at home for their trip to Belgrade to face Red Star this week in order to prevent a political sideshow forming around the match. Switzerland international Shaqiri was born in Kosovo and has made no secret of his pride in his heritage, sporting the Kosovar flag on his boots while playing for the Swiss national team – including in a tense fixture against Serbia in the group stage of the summer's World Cup, in which he made the symbol of the Albanian eagle with his hands after scoring a late winner, provoking an angry reaction from some Serbian fans and leading to a fine from FIFA. Serbia, where Tuesday evening's Champions League game will be played, still views Kosovo as part of its territory despite a declaration of independence a decade ago, following a bloody war of independence against largely Serbian Yugoslav forces in the late 1990s. As such, Shaqiri's presence – as a relatively outspoken Kosovar with Albanian roots – is likely to generate a hostile reaction from the home crowd, and Klopp confirmed on the ​club's website on Monday morning: “We have heard and read the speculation and talk about what kind of reception Shaq would receive and although we have no idea what would happen, we want to go there and be focused 100 per cent on football and not have to think about anything else, that’s all. “We are Liverpool FC, a big club, a football team but we don’t have any message further than that. We have no political message, absolutely not. We want the focus to be on a great game of football, free from anything else." 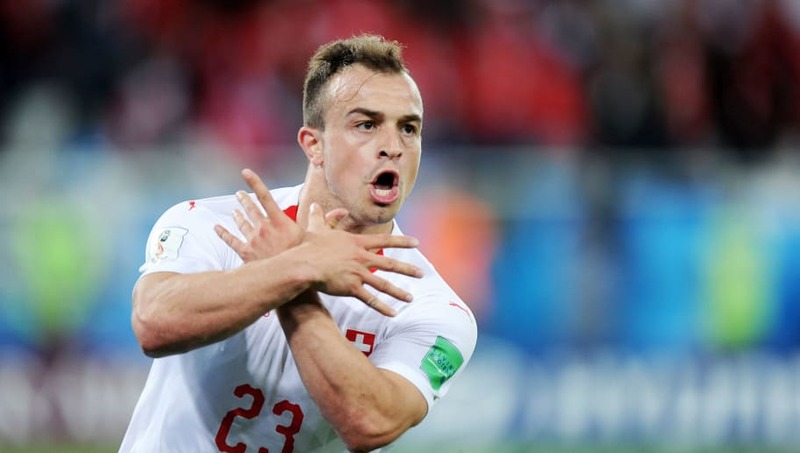 For his own part, Shaqiri insisted last month that he would have no problem going to Belgrade, saying: "I had this already at the World Cup so I know I can handle this no problem. I just saw a few articles where one player said something. I don't really care what people are saying." He added: "I just go there to play a football game. It is not about politics, it is about football. I worry about nothing and go to play."